Dude, where's my 'Outside-In' monitoring gone? 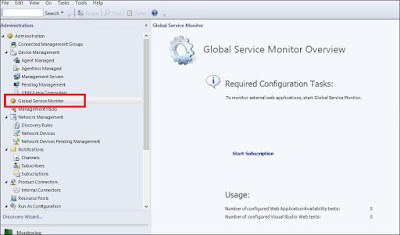 If you've been working with SCOM for as long as I have, you'll most likely have come across the very cool Global Service Monitor (GSM) feature that Microsoft first demonstrated way back in 2012 during the release of SCOM 2012 Service Pack 1 at the awesome Microsoft Management Summit in Vegas. GSM simulates the end-user experience of accessing a web application as it can schedule automatic synthetic transactions from locations around the world - providing an 'Outside-In' availability, performance and reliability monitoring view of your externally facing web applications. 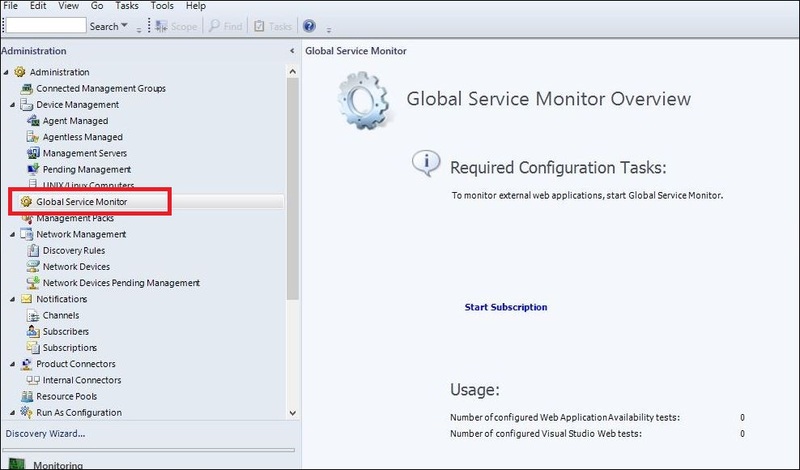 If you purchased a Software Assurance license for System Center 2012, then you were entitled to deploy the GSM management pack into your SCOM environments and use the Global Service Monitor connector shown in the following image to connect GSM in the cloud back into your on-premise SCOM deployment. 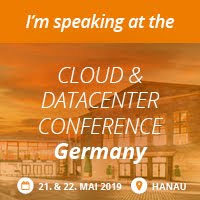 I've deployed GSM to a lot of customers over the years and it worked exactly as it was meant to along with adding some nice value when we were modeling IT services that needed an end-user perspective of the availability and performance of specific web applications. Fast-forward to when SCOM 2016 was first released and although the GSM management pack guide only specified support for SCOM 2012, it still worked and delivered that 'Outside-In' monitoring experience. Recently however, the GSM connector has stopped working for SCOM 2012 and also for SCOM 2016. If you had GSM running in your SCOM environment, you will probably have noticed an alert relating to a DNS resolution error - which on investigation looks like there's a DNS zone missing on the Microsoft side. While no official statement has been released by Microsoft as to this connector being deprecated and this DNS issue may still be resolved, it's probably a good time to start thinking of an alternative option to GSM. This is where the Azure-based Application Insights platform comes in. A few years back I wrote a few blog posts (here and here) that discussed an alternative to GSM when using Application Insights and last week after a discussion between a some MVP friends relating to the Global Service Monitor DNS resolution error in SCOM, Cameron Fuller (Cloud and Datacenter Management legend) put together an awesome walk-through blog post on using Application Insights as an alternative to GSM in SCOM.